For years, Audi has been known for its unrivaled Quattro all-wheel drive system. This is an AWD technology that provides Audi vehicles with permanent traction and stability. Anyone who has ever driven an Audi in the snow can attest to just how impressive this system really is. Last year, Audi decided to fine-tune its Quattro system by developing Quattro Ultra, which we first saw on the 2018 Audi Q5. But what exactly is Quattro Ultra? In essence, Quattro Ultra is the same as any other traditional Quattro system when you need it to be. You still get the advantage of all four wheels working to keep your vehicle stable and safe on a slippery road, or when you need to get out of a snowbank or some mud. In that sense, nothing changes compared to the Quattro system we all know and love. 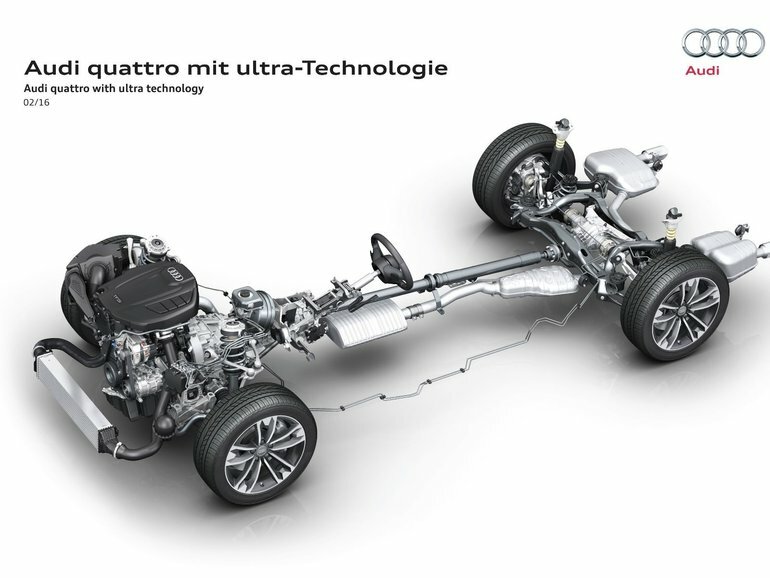 What does change, however, is that when you are driving on the highway or in the city on a clear summer day, Ultra Quattro uses its two-clutch system to disengage the rear wheels and thus improve fuel economy. In other words, when you don’t need all-wheel drive, there’s no need to use it and you will decrease your overall fuel consumption as a result. With Quattro Ultra, you get the best of both worlds, it’s that simple. To learn more, contact us today at Bill Matthews Audi!